Wasting no time with its expansion plans funded by March’s $82 million Series D round, 3D printer manufacturer Markforged has opened its first office outside of the U.S. Located in Dublin, Ireland, this new site will serve as Markforged’s European headquarters. Its establishment was supported by the state-run foreign direct investment attraction agency IDA Ireland. Sample parts made on the Markforged Metal X 3D printer. Photo via Markforged. Including the recent Series D funding, Markforged now holds $137 million in both strategic and venture capital. With this money, the company hopes to start introducing 3D printers for mass production and new materials, alongside global expansion. Part of a manufacturing partner network, the company is already connected to 50 countries. However, it’s only sites up until now have been in Watertown, Massachusetts. Here the company has a base for Materials, Engineering, Software, Product, and Operations, and one for the Commercial & Marketing aspects of the business. At the new headquarters in Dublin, Markforged has plans to employ 100 people over the next three years. To start, the company is currently hiring representatives for its Commercial Sales, Business Development and Marketing departments. Stephen Barbuto, EMEA Director of Commercial Sales at Markforged, is currently heading up the office. An Irish 3D printing hub? Other 3D printing business to receive the IDA’s support include DePuy Synthes‘ €36 million Innovation Centre, and Irish Manufacturing Research (IMR), which was recently involved in a 3D printed medical implant project with Renishaw and nTopology. Markforged has been nominated in the 2019 3D Printing Industry Awards for the third year in a row. Make your votes now to decide this year’s winners. Looking to hire additive manufacturing experts? Advertise through 3D Printing Jobs to reach our highly specialized talent pool. For all of the latest additive manufacturing business news subscribe to the 3D Printing Industry newsletter, follow us on Twitter and like us on Facebook. Seeking the next step in your career? 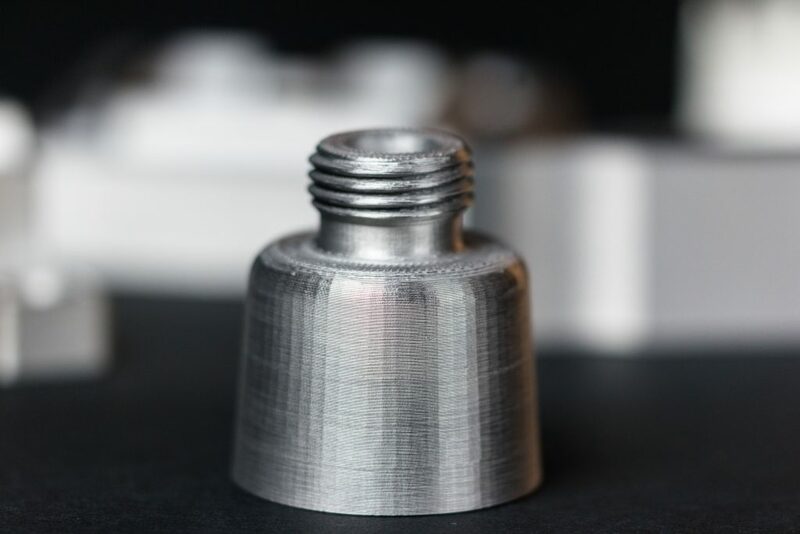 Featured image shows sample parts made on the Markforged Metal X 3D printer. Photo via Markforged.